Wonderful color and texture. Great background and focus. Oh very nice!!! That would look stunning in a big fish tank! @ozziehoffy - it really would have to be big! That is one large piece of wood! Beautiful tone and texture- lovely! Wood, stone, large, small? This keeps you looking and wondering how large and just what it actually is. Wonderful shot. Beautiful detailed pic, love it. Love the textures, nice photo!! The textures are just great here. Well done. I like this because it looks like it could be a huge cliff with caves in it. Neat textures! This pix is awsome !! Love the dark background and the sharp focus ! I love wood. In fact, I'm kind of a wood fanatic, and have a huge pile of it outside my house right now. Great shot. Textures, tones, contrast -- all very nice! Love the textures and tones in this... it looks like it could be a distant shot of some cliffs! Wonderful textures and great capture! Beautiful. Love the composition and love the lines. Oh, I like that! Lovely composition and the texture is gorgeous. Super shot of the wood texture! and the various shades of colour! 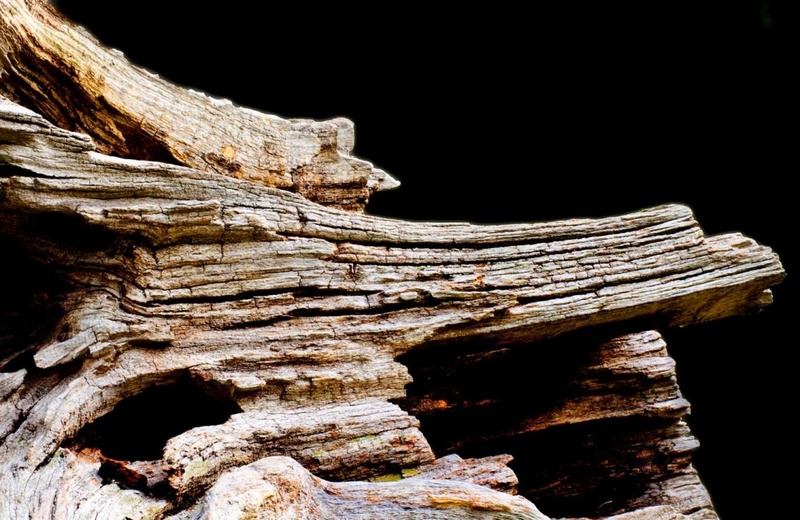 Wonderful capture of detail and texture :) I love wood! love this one, great lines! Great subject. Love it, great textures and light. This is just fantastic, composition, texture, lighting. Fantastic textures here! Eye candy for me!